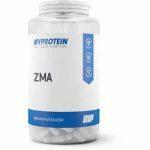 ZMA review - do they really work, our reviewer says yes! Here is my ZMA review for Jogger.co.uk. For a few months now I’ve been struggling with my sleep; whether I went to bed early or I went to bed late, regardless I’d wake up a gazillion times a night. I’d have no trouble getting back to sleep, that wasn’t the issue; it was just staying asleep. By the time the alarm went off in the morning (or alarms; I have about 15 that go off in 5 minute intervals) I felt like I’d barely slept all night and had pulled an all-nighter. After a little while of whinging to colleagues about how tired I was, someone suggested that I maybe needed to increase my magnesium and vitamin B levels, so suggested I get some tablets or try eating foods that would help, such as bananas. 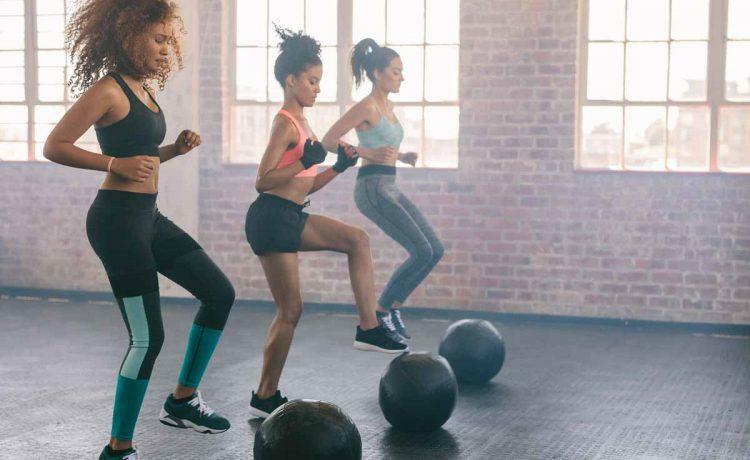 Feeling sceptical, I took to Facebook to see what the masses suggested and two friends suggested ZMA tablets – both to help with my sleep and also to help with muscle recovery as I’d just started back at the gym. What type of athletes use ZMA’s? 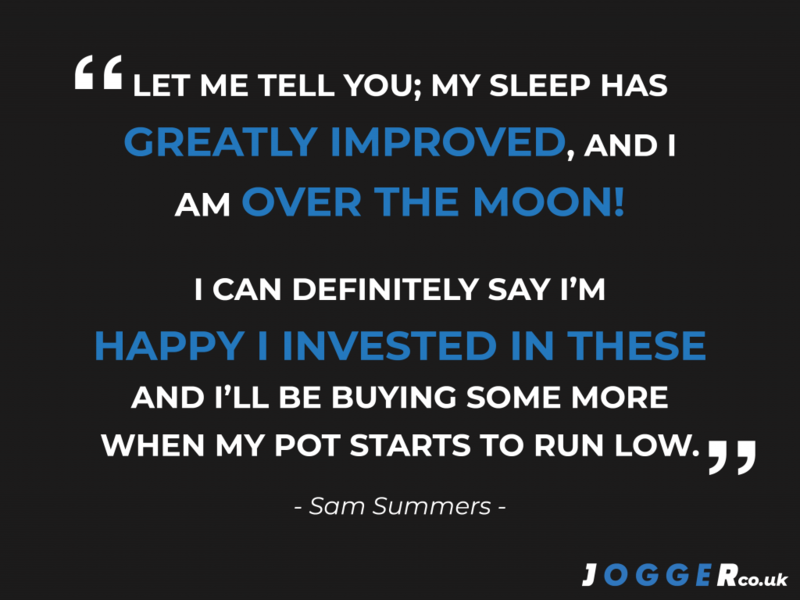 I read into ZMAs and found that they’re used largely by athletes, gymnasts and bodybuilders and they aid recovery, but that they do also help the body achieve deeper levels of REM sleep – BINGO! In short, they were a really well spoken about sports supplement. I figured there was no harm in trying some, at worst I’d lose some money and at best I’d get a decent night’s sleep. With both friends suggesting Myprotein, I jumped online and ordered a pot of 90 capsules for £12.49 (editors note: they are now available for £9.99) (there was a discount suggested by the site, so I got about 10% off my order, but if not there will be discounts online on various sites, I’m sure). They also sell a pot of 270 capsules, but I figured I’d start small in case I didn’t see any benefits. How much ZMA should you take per day? This information comes via the Myprotein website. Women should take 2x capsules per night (30-60 minutes before bed), whereas men are recommended to take 3x capsules per night, so the above stats would be 50% higher. And how am I getting on with them 7 nights after starting? 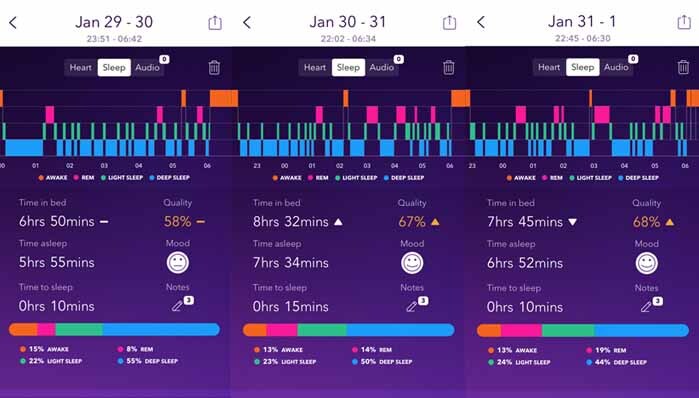 A few days after I started using the ZMA supplement I decided to download an app called ‘Pillow’ to see if I was still waking up a lot but not realising or if they were genuinely helping me sleep. As you can see in the screengrabs below from the app, my sleep is just improving day by day. From my sleep quality being rated as 58% a few nights ago to 68% two nights later, I’m confident it’s only going to continue to get better. Don’t get me wrong, I don’t expect a 100% sleep quality score, but it’s getting better and I’m not waking up more than once a night and I’m starting to feel far more human in the mornings. It’s making the work day far more pleasant and a week after starting these supplements I feel far less grumpy and ready to take on the world. As mentioned above, they also help with muscle recovery and I’ve noticed that I’m no longer getting DOMS after a fast-paced, intense gym class (I like to give my all, otherwise what’s the point in being there?!) – which makes life far more comfortable, I can tell you! A little ache here and there I can deal with, but my first few weeks back in the gym after Christmas were hell; I couldn’t lift my arms at one point for almost three days. And when you work on the top floor of a three-storey building, leg DOMS are not what you want. 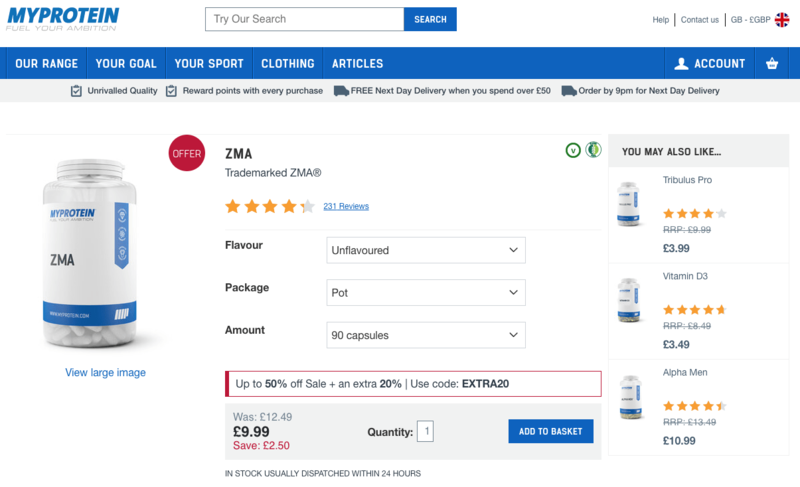 I like to read others reviews on products that I’m taking and if you get a chance, you have to read the ZMA reviews on the Myprotein website. Some of them are comedy gold. There have been a few things commented on in the reviews that I didn’t initially put down to the ZMA capsules, such as an increased libido and also really intense dreams. Not that they’re wild or crazy, but they’re so vivid. I wake up most mornings and I can tell you step-by-step what happened in my dream, what people said and even what they were wearing. Normally I’m lucky if I remember a good dream for more than two minutes, and the more I try to remember the more it fades; that’s not the case here. Although below is one of my favourite reviews suggesting that the capsules go well with a hot water bottle, pyjamas and a teddy bear! Something I also didn’t realise until the bottle arrived is that these capsules are a food supplement – I can’t see anything on the website about it, but it’s right there on the label. Admittedly, for the first couple of days my appetite was lower, but I’m back to being hungry all the time and wanting to eat everything in site (thank god for gym classes stopping me turning into a porker!). If you shop around, you can buy ZMAs cheaper elsewhere online, but I went with Myprotein both because they were recommended to me by two separate friends and because they’re a well-known, trusted brand, and that fills me with confidence. I know I’m not buying anything dodgy and if I have any issues they will be there to assist me. I can definitely say I’m happy I invested in these and I’ll be buying some more when my pot starts to run low.